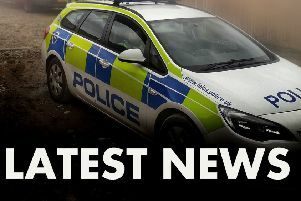 A 27-year-old Melton man has been arrested in connection with an incident which saw another one attacked with a baseball bat in a layby off the A607. Police want to hear from any witnesses who saw the alleged assault at East Goscote on Tuesday afternoon, between 2.30pm and 2.45pm. A spokesperson for Leicestershire Police said: “A 28-year-old victim was driving along the A607 in his van when he pulled into a layby, near the golf club. “The driver of another vehicle also pulled in and then assaulted the victim with a baseball bat. Police say the man arrested is suspected of carrying out a Section 18 grievous bodily harm (GBH) offence and he has been released on police bail pending further enquiries. Officers believe there were other motorists travelling along the A607 at the time who may have witnessed the incident or captured footage on dash cam equipment. Anyone who can help with the investigation is asked to contact Pc 425 Ben Orton on 101, quoting crime reference number 19*181322.